I have approached a number of people to write articles, but if readers would like to contribute an article please contact me. The only two stipulations I make are that the article has to be hill related and that I don't end up in court through its publication! Otherwise the choice of subject matter is down to the Guest Contributor. Living on the Wirral peninsula, just thirty-seven miles as the crow flies from Foel Fras in the northern Carneddau range of Snowdonia, I have long been interested in the 3,000 ft. summits of England, Wales and Ireland, otherwise known collectively as The Furths. This fascination, I suppose, started early in the summer of 1976, when I acquired my first copy of Munro’s Tables (First metric edition, 1974). For the first time, this historical Scottish mountain document published a list (pp.86-88) of some 107 Munroists, i.e. people who had claimed to have climbed all the Munros. The list also catalogued those that had added the subsidiary peaks - called “Tops” - and the supplemental 3000 foot mountains in the British Isles furth of Scotland. My childhood home in Wallasey, stands on a sandstone ridge overlooking the coastal plains of north Wirral and North Wales beyond, from which the long, sprawling ridge of the Carneddau rises - something which I didn’t appreciate in my formative years of the 1960s! It was from here that many youthful mountain wanderings began. Like thousands of others, the first notable hill for me was nearby Moel Famau (classified a Marilyn: height with a drop of 150 metres on all sides), first climbed on the twentieth anniversary of Hillary and Tenzing’s historic ascent of Everest. Family holidays saw two further Marilyns - Great Rhos (Radnor Forest) and Aran Fawddwy - done in the successive years. (These early hillwalks were solo efforts.) A trip to Bala awakened my awareness to the possibility of more superb mountain days to come, when I equipped myself with W. A. Poucher’s guide The Welsh Peaks. My introduction to the Furths finally came on 27 August 1976 - with a sizzling hot, almost solo (I say almost, because I tagged along with a school party being led over Crib Goch) traverse of the celebrated Snowdon Horseshoe. It was the start, unwittingly, of a piecemeal round of the Welsh/English Furths, which ended on Scafell on 22 July 1982. A few days earlier I had a chance meeting with a tanned Hamish Brown at Keswick Youth Hostel, where I introduced myself. Hamish asked: “Do I know you?”, to which I quipped “No. But you soon will, as I’m on your forthcoming autumn Irish trip!” (Hamish was cycle-linking the Four Country Summits of Ireland, Wales, England and Scotland.) The Irish Furths were duly added - finishing the lot on Brandon Mountain on 11 October 1982. Sir, - I have found a 3000ft. top which does not appear in the 1974 Edition of Munro’s Tables. It is situated half a mile NNW of Bynack More (Section 14 in the Tables). Its name is Bynack Beg and its height is 960 metres on the new 1:50 000 map. Could Bynack Beg have been overlooked when the Tables were revised for the 1974 Edition? It was published in the January 1978 issue, and I’ll never forget how thrilled I was to see it in print - contrasted with a rather lengthy contribution from Hamish Brown about the erring ways of the Ordnance Survey’s revision (or lack of!) on their maps of the Scottish Highlands. I’d like to point out that Hamish was already known to me through his Round the Munros series, published in this periodical during the 1970s. Since then, I’ve contributed letters to the Mailboxes of Trail and The Great Outdoors (TGO) magazines, plus Dave Hewitt’s fanzine The Angry Corrie. More recently the below article, Final Furths - An Overview, was tacked on to “Munro Matters” in the Scottish Mountaineering Club Journal 2013, from which my blog Final Furths and Furthists was a natural progression. The primary tool used in my research is the Scottish Mountaineering Club’s Munroists’ database, maintained by the Clerk of the List (its latest incumbent being Dave Broadhead). This currently contains 5765 people (at the time of writing, 8 August 2015), of which roughly one in ten have climbed the Furths. The term Furthist was publicly given to them by Max Landsberg in his blog The Call of the Mountains. His son David privately issued, in 1959, Tables giving all the 3000-Ft. Mountains of England, Wales and Ireland in an eight-page “erudite booklet”, similar in style and content to the 1953 Munro’s Tables. (Dave Hewitt kindly facsimiled me a copy of this hard to find publication.) It is worth mentioning that the SMC made tentative listings of Munroists in the 1960s, and in the Journal of May 1968 (SMCJ, 159/29) published a full list with the unstinted cooperation of Eric Maxwell. 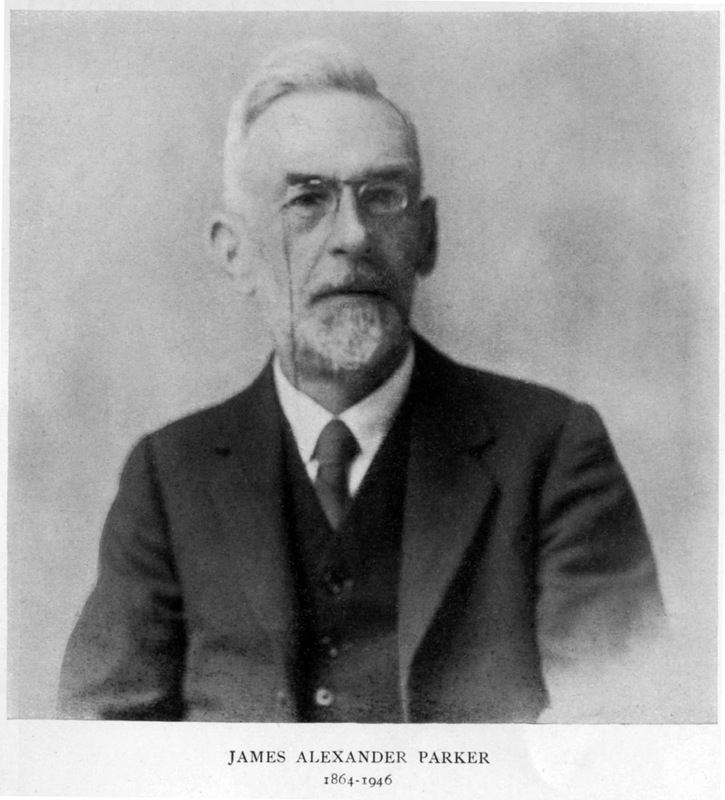 Iain Smart, the first recorder, seems to recall taking over from Maxwell before the figure reached 100. There was some talk of discontinuing the list then, as the SMC thought no one would be interested if they were not in that number. How wrong they were! The volume of correspondence received from Munroists has grown such, that Dave Broadhead was prompted to write in Munro Matters (SMCJ, 205/43): “I often receive copies of hill logs, diaries, spread-sheets etc all of which go into the National Library of Scotland archive along with the letters. There is a PhD there for someone, sometime.” This is partly true for myself, in so far as some Furthists send me spreadsheets and the odd photo. I derive immense satisfaction from the research: contacting individuals by letter/email, the friendly support of the SMC, The Munro Society and a lot more besides! My list naturally incorporates Munroists (some of which are unregistered with the SMC), and also non-Munroists who are either working their way through the Munros - but have pre-dated this achievement by compleating the Furths - or who’ve solely accomplished these wonderfully diverse peaks. It is a work in progress. A labour of love. “Responding to the piece in the recent edition of the Munro Society Newsletter my Furth Compleation was on Brandon Mountain on 26.08.2008. Accompanied by my wife, Maggie Rae, and my long-suffering teddy bear which has had much to put up with in the hills down the years. There was a raging gale on the summit. Irvine Butterfield told me I had left the best till the last and I quite agree. One of my prized possessions is a beautiful framed photo of Brandon Mountain taken by Irvine from the beach at Kilcummin which I got from him a few weeks before his death”. 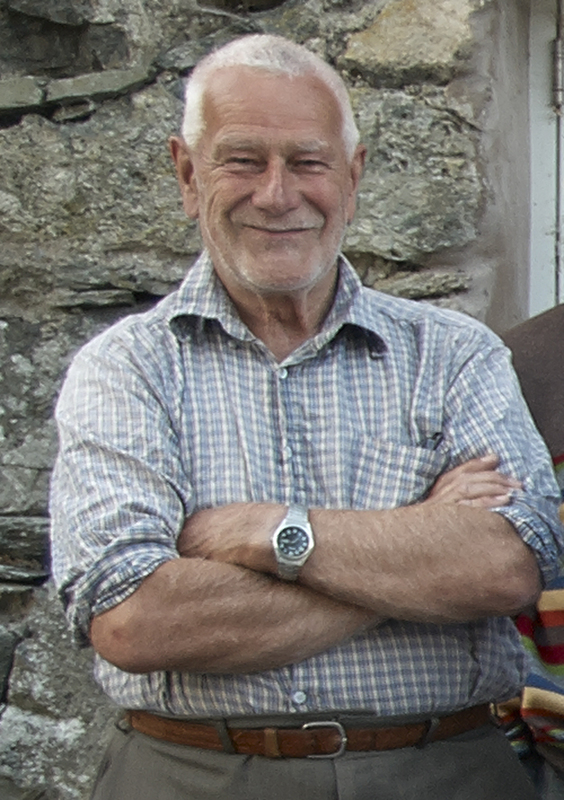 Alan finished his Munros on Ben More (Mull) on 28 September 2001, the centenary of A.E. Robertson’s historic completion. I contacted him recently. He’d just bagged his penultimate Munro Top on Beinn a’ Bhuird, viz. Stob an t-Sluichd, and said afterwards that he was in some pain with his knees, hips and an ankle - but reckoned malt whisky is a great analgesic! Health permitting, he’s going to compleat the Grand Slam on Ronald Burn’s centenary in 2023. “….Good for you gathering names and dates. I hugely enjoyed the Furths and have many wonderful memories of places and people encountered on my travels furth o’ Scotland. Happily your sterling efforts will encourage others to find similar pleasures. 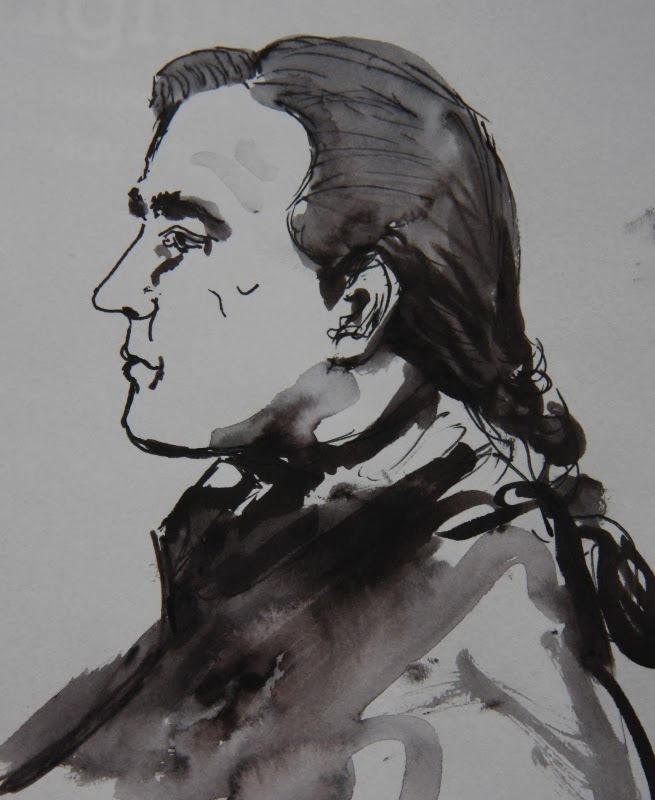 ….Brandon (5/7/91) completed my personal ’Grand Slam’. It was misty but a little bit special - Yippee! 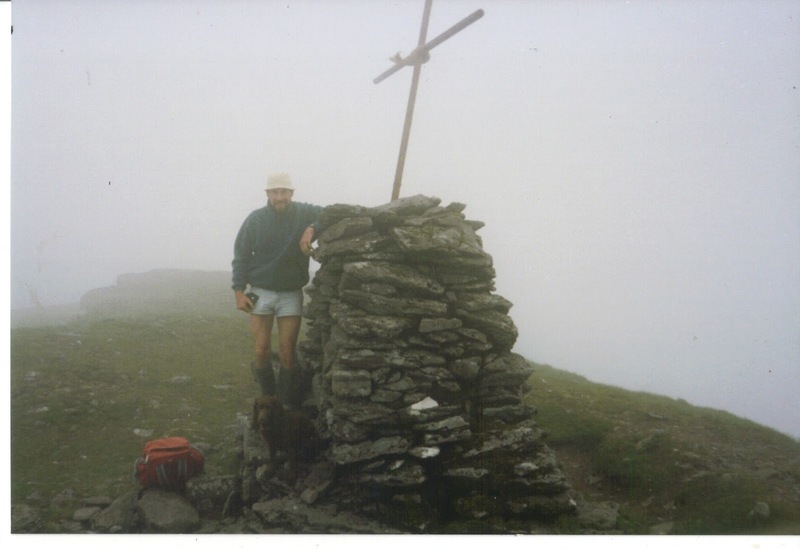 “My final Munro on that 1st round (not that I’ll ever complete a 2nd round!) was Sgurr nan Gillean (Cuillin) on the 4 August 1988 in the company of a small party with the famous Gerry Akroyd as our guide. A glorious day of spectacular views and altogether a memorable experience. The final top was Sgurr Eilde Beag (Mamores) on the 20 October 1989 in the company of my faithful Tess. The diary account notes, ’wretched weather, strong wind, rain and mist.’ We walked on to revisit Binnean Mor and Binnean Beag ’through curtains of rain driven by gale force wind.’ I recall enjoying the bleakness and loneliness of it. These then are the words of a couple of typical baggers which, told from their perspective, hopefully convey a sense of the delights (and hardships!) that await those who take up the challenge of the Furths and other 3000 ft. mountains. 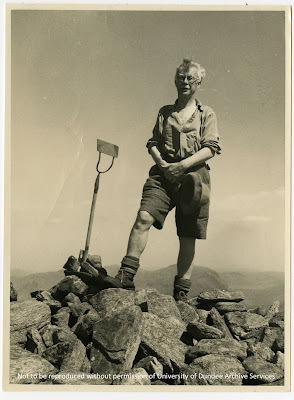 I am indebted to David Geddes and Alan Haworth for permitting me to share their experiences and to Norman Wares for the use of his Skiddaw photo. Thanks are also due to Dave Broadhead, Robin Campbell and Iain Smart of the Scottish Mountaineering Club for their input. The article Quod Erat Faciendum is held at the University of Dundee Archive. (SMCJ, 204/42, 609-10) Copyright 2013, and is reproduced here with permission. MUCH HAS BEEN written about Munro compleations down the years; but what of the Furths? 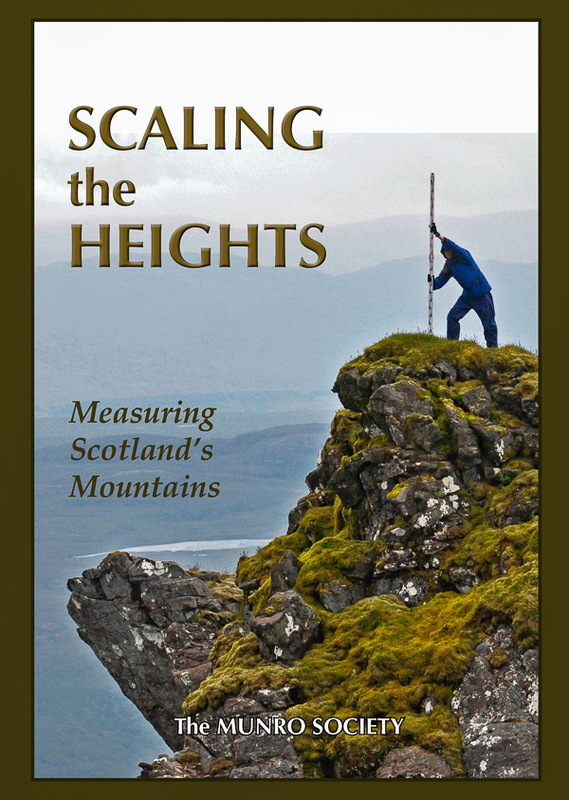 Inspired by Dave Hewitt’s research into Scottish hill list compleations, and his online history 'May The Furth Be With You!' , I decided to take up the gauntlet of establishing the location of Furth finishes. What follows is a brief summary of final 3,000 ft summits ‘Furth of Scotland’, using spelling of names listed in the 1997 edition of Munro’s Tables. Prior to this, England has variously been credited with between four and seven baggable peaks, Wales 14, and Ireland between seven and thirteen respectively. The following statistics are based on my list so far of 52 compleaters (which include several SMC luminaries), and spans the period 1929-2012. Five hundred and forty four listed Munroists (March 2013) have done the Furths, just over 10% of the overall total. However, things are not as simple as they seem. For instance, it is clear that not all compleations are reported/recorded, as in the case of Paul Russell (731) who finished on Lugnaquillia, 28/10/1977. It’s also known some compleaters report the Furths as an integral part of their Munro round, and this produces different dates. Very interesting, thanks. But why are they called the Furths (a terrible name), when they could be called the Maxwells (a great name)? Good question! You're best asking the Scottish Mountaineering Club, as they coined the term in their 1997 edition of Munro's Tables - I guess simply as an abbreviation of Eric Maxwell's 'Furth of Scotland'. I quite agree that 'Maxwells' would be a more deserving name for these mountains and, oddly enough, the SMC has used this moniker in the past.